Future site of Old Capitol Mall. 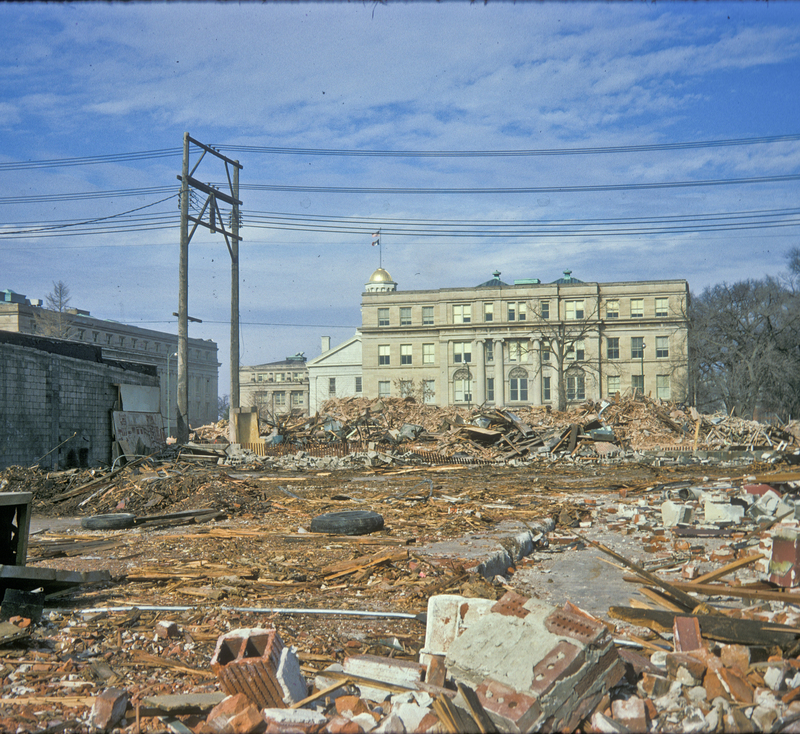 Old Capitol building and Pentacrest in the background. 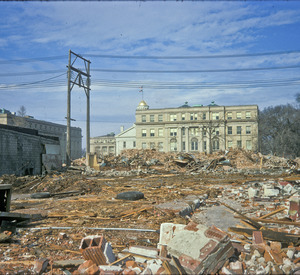 Lindley, Theo, “Building Debris at Washington Street, 1970-1976,” Iowa City Public Library, accessed April 24, 2019, http://history.icpl.org/items/show/279.